Titanic premiered almost 20 years ago, but the world is more obsessed with it than ever, thanks to Leonardo DiCaprio's award season sweep and, of course, nostalgia. (News flash: The '90s are back.) One of the coolest designers of the moment, Vêtements, is also getting in on the action. The French label has made hoodies impossibly cool, thanks to the celebrity and fashion world fans of the oversize cut, extra-long sleeve, and edgy '90s-era logos emblazoned across the front. The brand released a Titanic movie poster–adorned hoodie sweatshirt back in September with an $885 price tag, and as Refinery29 pointed out, the sweatshirt has sold out everywhere since Leo's Oscar win last Sunday. 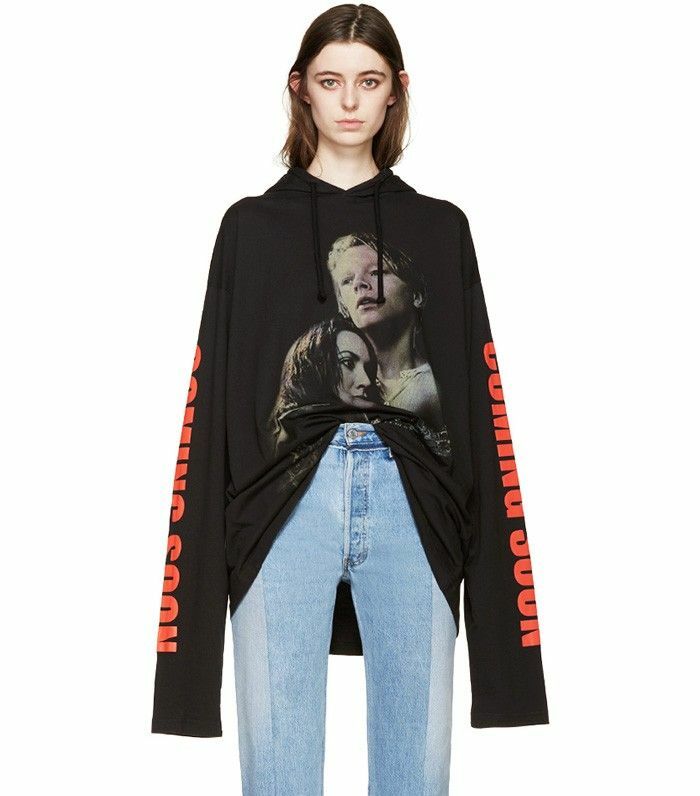 There is good news if you're clamoring for your own piece of Vêtements and Titanic: The spring weather–friendlier hooded T-shirt version is still available from Ssense for a slightly lower price of $625. Scroll down to shop Vêtements' hooded titanic T-shirt while you still can! Would you wear Vêtements' Titanic tee? Tell us in the comments below!